Brad and his wife Jacinta acquired a farming property in Manjimup, South West Western Australia in 2015. Since then they have seen a boutique farming plan fast turn into a passion. After attending a WA Avocados Australia regional event in 2016, an Avocado block was planned and planted in quick time with plenty of help from Avocados Australia’s member online support tools. 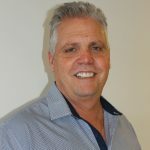 Brad has 30 years’ experience as a Certified Financial Planner, former Army Engineer and is a plumber by trade.We have loved the avo journey so far and as a recent small grower, we are keen to keep learning. We have met fantastic and passionate people not to mention the fruit is awesome and a privilege to be growing. I’m well aware we have many new avo farmers in Western Australia and nationally, with a lot being new like us so I’m keen to help where I can. I hope my time on the Avocados Australia board can help achieve sustainability and profitability to progress our great avocado industry to be ready for inevitable future growth.